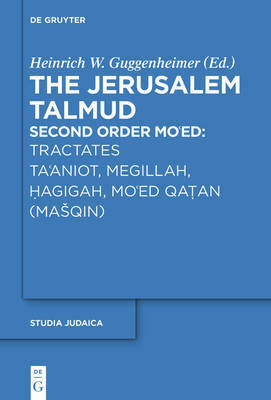 The present volume is the seventeenth and last in this series of the Jerusalem Talmud. The four tractates of theSecond Order - Ta'aniot, Megillah, Hagigah, Mo'ed Qatan (Masqin) - deal with different fasts and holidays as well as with the pilgrimage to the Temple. The texts are accompanied by an English translation and presented with full use of existing Genizah texts and with an extensive commentary explaining the Rabbinic background.